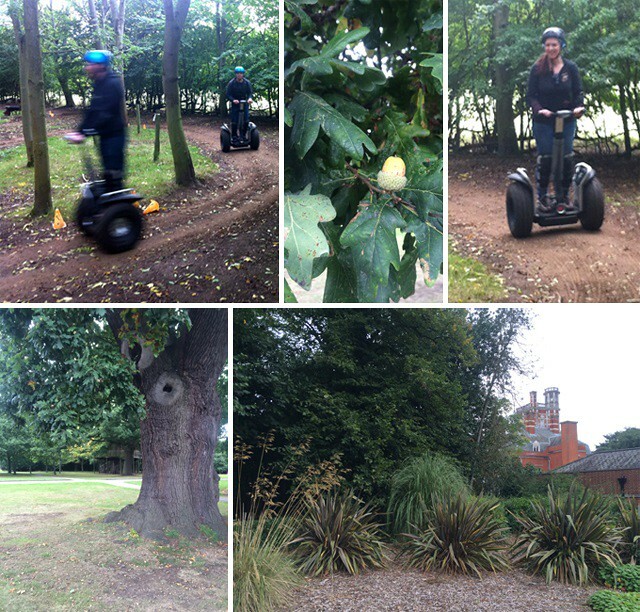 Outdoor Adventures: Time for Segway! I love the outdoors – and I love trying new things. 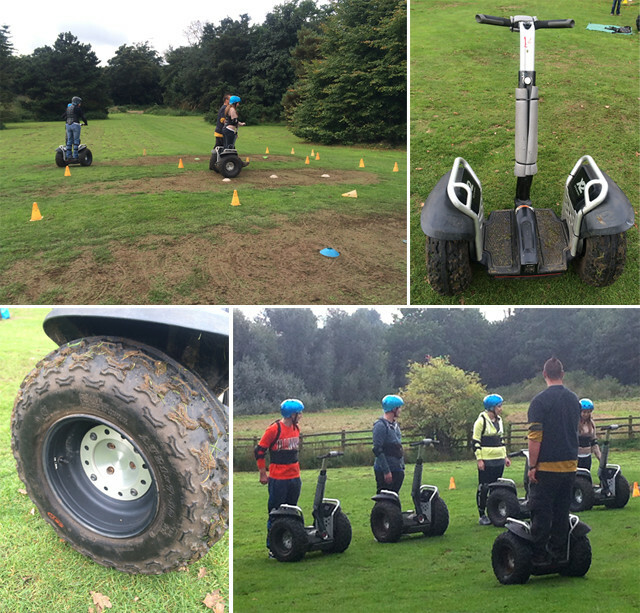 So when I got the chance to go on a Segway adventure this month, I jumped at the opportunity! Up until this point, I’d only ever seen Segways on the television (or on hilarious YouTube compilations of people falling off them…) and usually they’d been zooming around cities or transporting security guards around shopping centres. Bumbling around the woods on one sounded absolutely brilliant – and, actually, yes it was! Segways aren’t without their challenges to overcome, however. For starters, they’re actually pretty intimidating beasts up close, and they can go pretty darn fast if you want them to. And, there’s a lot of safety equipment involved – helmets, elbow pads, shin pads – plus a fairly serious talk which basically dissuades you from acting like an idiot on them. These things are heavy, fast, and they have no brakes – all of which makes them enormous fun to ride on when you’re dodging between trees and zooming down hills. After the safety briefing, we were invited to trundle up and down in between some cones to get the hang of maneuvering these beasts. While some people are cursed with bitchy resting face, I appear to be cursed with terrified resting face, because all the way through my practice (and the resulting rally through the trees) people kept asking me if I was okay. Firstly, I was concentrating on not falling off, but secondly, I was also having a blast, so I have no idea where the aura of terror was coming from, but I shall put it to good use this Halloween. So, the Segway moves forward when you move your body weight towards the front of the machine, and it stops when you rock it backwards. It’s almost counter intuitive to move this way to start, as your mind is telling you you’ll fall forwards if you tip so far, but after some practice it’s easy to master. Turning works in a similar way, you tilt your body weight in the direction you want to go in. Although it seems strange at first, by the end of the session these body movements, plus the speed, made it feel almost like you were flying through the trees like some kind of magical Disney princess. Of course, the men can just imagine they’re Superman or something – or a slightly hairy princess if they want, I’m not going to judge. Once we had proven our mettle by not falling off our Segways, running over our own legs, going backwards into a ditch, or mangling ourselves in unlikely accidents, we set off on a short jaunt at high speed across a field and through some trees to a circular trackway in the woods. We then spent the remainder of our session looping around this circuit – firstly rather gingerly, and then with more and more confidence, until at the end it was entirely possible that one of us could have taken off if we’d had a big enough gust of wind behind us. By the end of the session, everyone was grinning from ear to ear, as they returned their safety equipment and picked up their certificate. 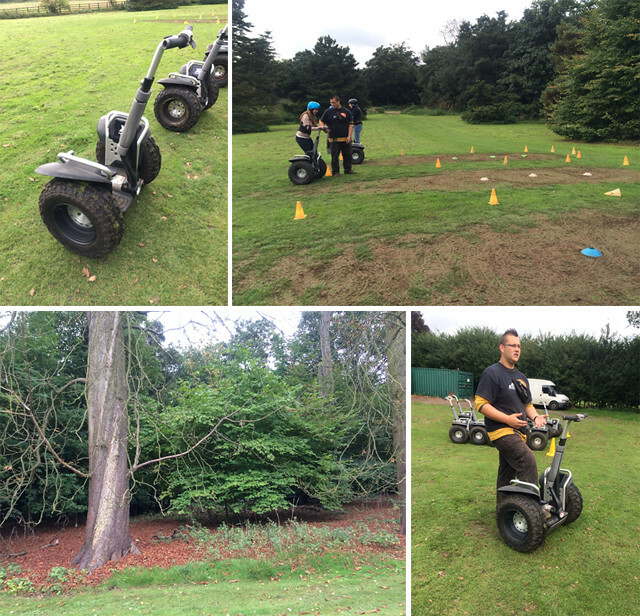 There’s just something about a Segway rally that makes you feel exhilarated and upbeat, and I can’t wait to go again. If you’re used to the same old outdoors activities and you want to try something different, or you’re looking for something fun for a birthday, hen party or team-building exercise, I’d definitely recommend it. It’s impossible not to have fun – and it’s also pretty hard to be really bad at it, too. And by the end, you feel like you’ve achieved something. I shall definitely be listing Segway Operator on my CV in the future. You can book a Segway session from Activity Superstore. You can also book loads of amazing other activities on the site, from spa days to supercar drives! Check it out at www.activitysuperstore.com. I received a complimentary session for the purposes of my review, but my opinions are my own. Woa this seems really fun!